When my band mates are over for breakfast, they always ask me to make my famous garlicky eggs in a basket. 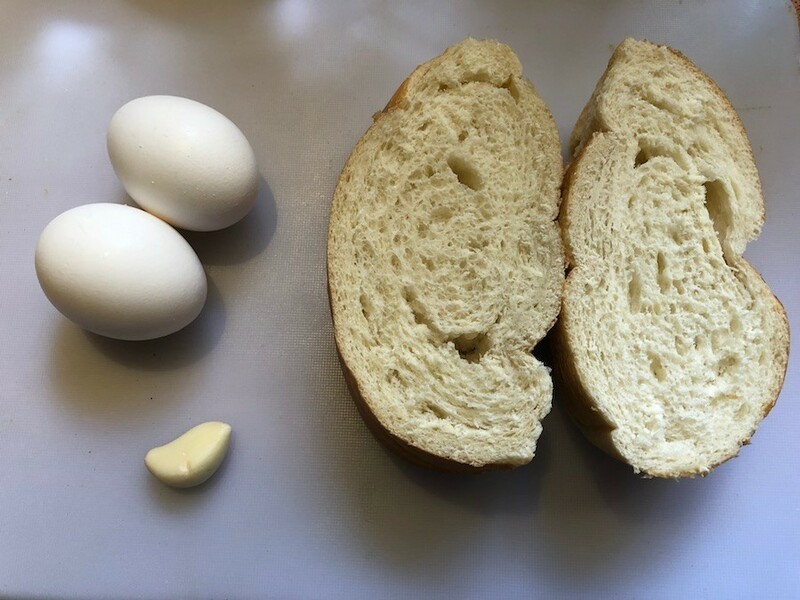 The eggs are perfectly cooked in the center of a soft cloud of dough with a beautifully crisp exterior. You'll love these! You can cook these in butter or cooking oil, but I served these up with bacon and sausages so I used their rendered fat. 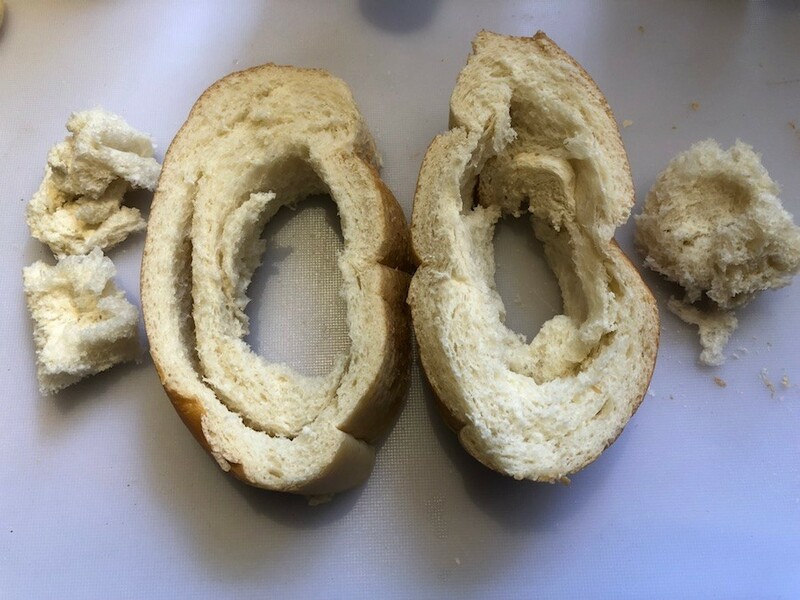 Hollow out the centers of the bread slices. Save them for breadcrumbs (or eat them)! 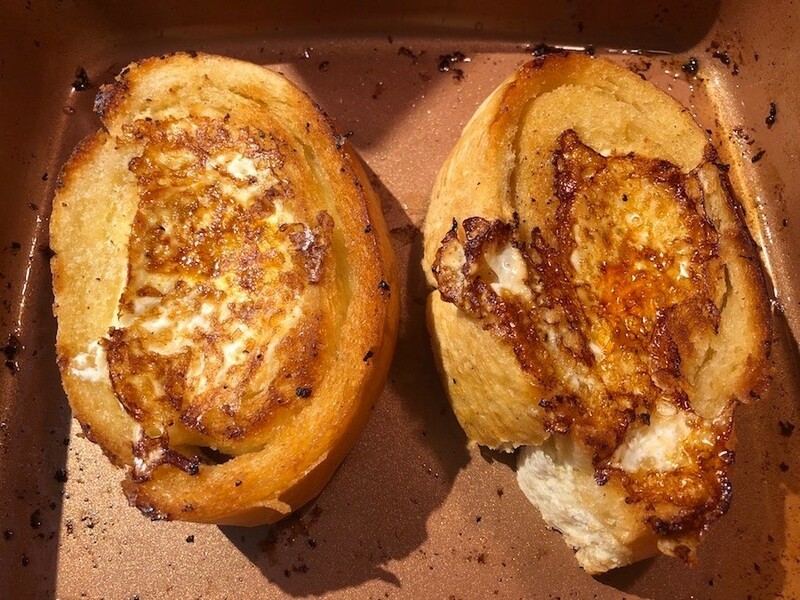 Cut the garlic clove in half and rub each bread slice on both sides to distribute the oils. 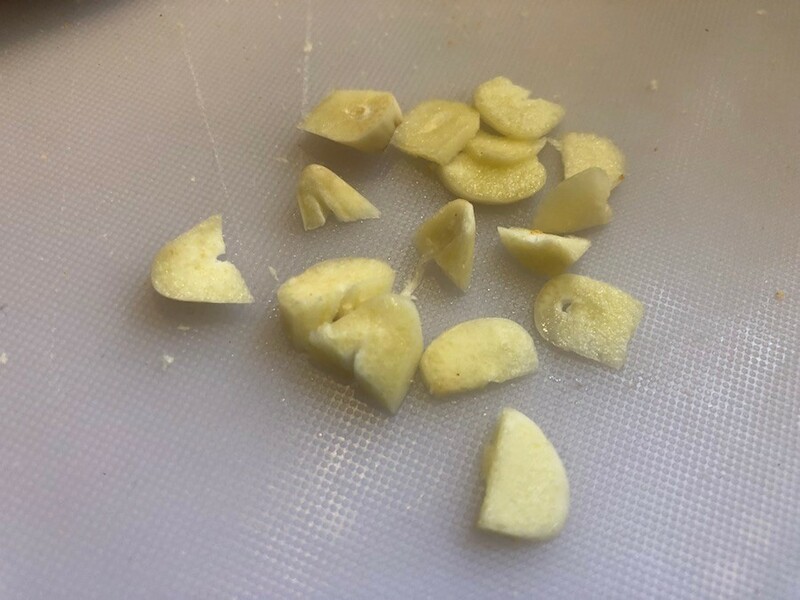 Thinly slice the garlic and set aside. 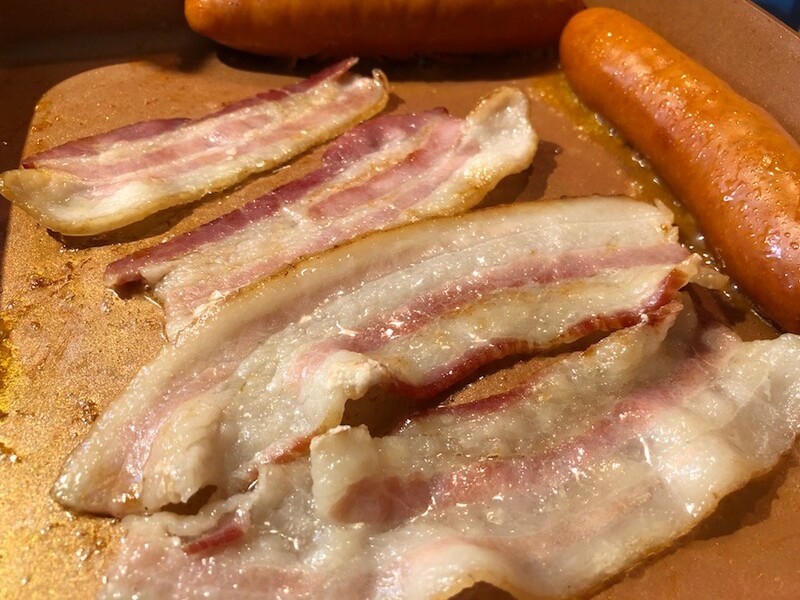 If you are cooking sides like bacon or sausage, cook them first and keep some or all of the rendered fat in the pan. If you're not cooking any, add a bit of butter or oil to your pan. 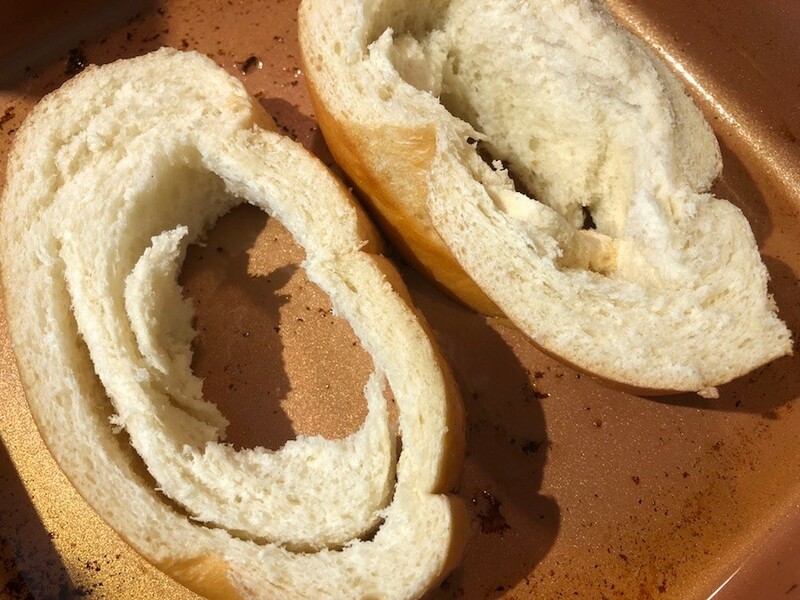 Place the bread slices in the pan over medium heat. 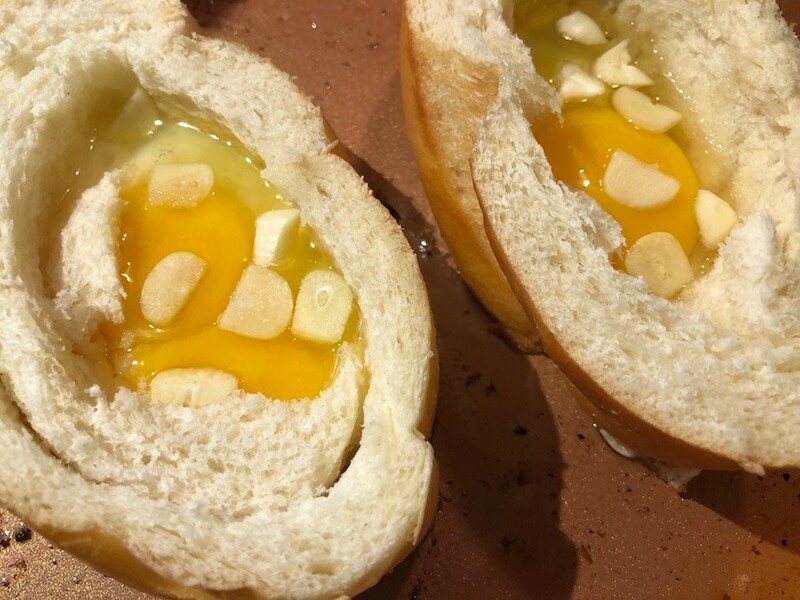 Break the eggs into the holes, then reduce heat to low. Cook for a few minutes, until whites are setting on the bottom. Yolk will still be raw. Place the garlic slices on top of the eggs. Very gently flip the bread slices over with a wide spatula. Cook the other side for a couple minutes. Serve immediately. who introduced me to it being made with sliced bread, but I like the way you've done it here. 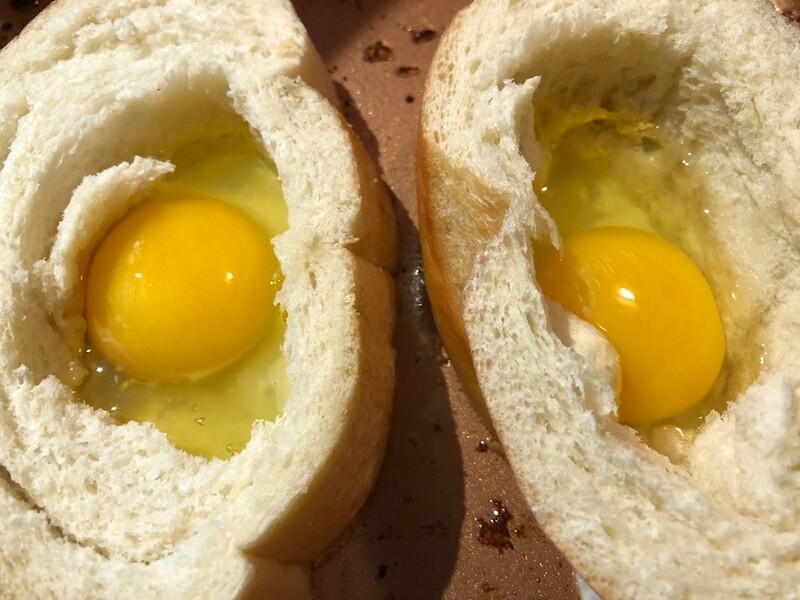 My mom always called them "egg in hole" so that is what I call it now. I love "chicken in the coop"! Aw! Chicken in the coop is too cute! Looks and sounds yummy. 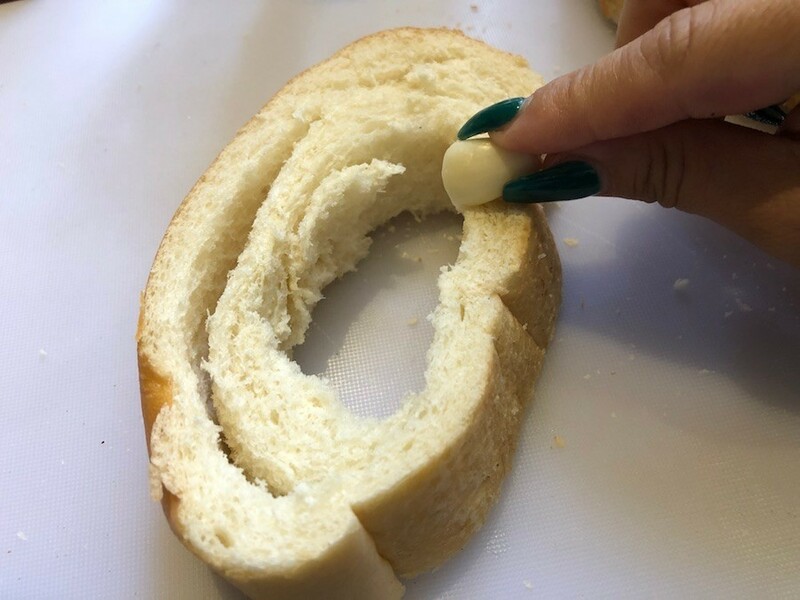 Personally, I leave off the garlic slices as Im not a big garlic fan. But Im definitely going to give these a try! 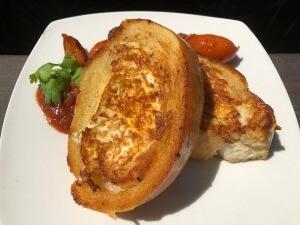 I take the bread from the center and fry it in the grease/butter. Delicious! I love all these neat names - I'll have to start a list. Oh - the recipe sounds delicious! YES!! But I feel sure being able to share the atmosphere in your home would be worth at least one trip! But since I feel sure that I am tone deaf, I'll have to forego joining the band. You qualify as someone who can get fed at my house without any musical services, so please come and join us! travel distances tend to be very short so I will just have to keep "visiting" you on ThriftyFun, but that is always a delight. It's always a delight for me, as well :) I wish they'd have invented teleportation by now, you'd have all my food in a jiffy.